2016 marked a shift from traditional marketing to brand storytelling. As we look towards the next three years, marketing professionals will need to master emerging trends and find unique ways to insert brands into these conversations – some of which may already be on your radar (think VR) but others you don’t yet dare to predict (think continued shifts under President Trump). Through work with top tech brands like Microsoft and Comcast, we’ve gained insight into the ways in which technology transforms marketing. Below, we take a look at how storytelling is likely to evolve and how to best position your business for success. All information will become entertainment. Data, reports, news, polls, studies—every form of marketing communications will be presented visually, in animation, with two-way engagement. Marketers also will have to get more creative with the ways they collect data as customers become less willing to complete forms and click ads. Brands will increasingly become full-time publishers, investing in ways to mobilize and move their own brand followings instead of paying for third parties to carry their messages. More than sponsored content, brands become the original and only source of content, which will make developing loyal followers more important than ever. Recommendation for the 2020 Marketer: Invest in content marketing but avoid abandoning traditional media relations. The need to develop deep relationships with media – and transform them into brand advocates – will be greater than ever; the nature of media and the journalists and sites where news is generated simply will have changed. 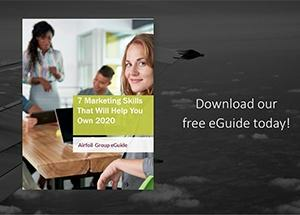 For more on how to better prepare your marketing communications strategy for the next decade, download the 2020 Marketer eGuide below.